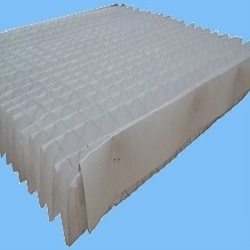 We are offering wide range of Pleated Filter Elements to our clients. This product is design to perform heavy operations of industrial working. Our products are quality tested and have ability to perform its working for long period of time. As per the demand of our clients we are offering different sizes in this. 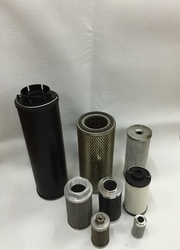 Pleated Dust Filter Cartridges, 0-1"
So as to uphold the standing we have built up, we are engrossed in presenting a broad compilation of Filter Element. Compatible Filter elements for All type of housing. These filters use machine pleated element, which form the heart of the filter. With pleated particulate media offers increased surface area thereby extending service life. Pleated Cartridge Filter provide more surface area and vide application in Pharma and Chemical Industries.